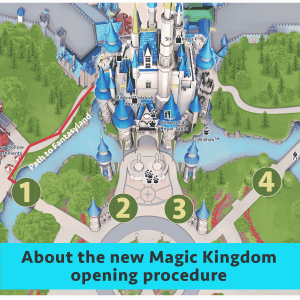 The start of 2017 brought about a bunch of announcements at Disney World, including a change to the Magic Kingdom opening procedure. Prior to the change, guests gathered eagerly in front of the WDW Railroad Train Station to await the arrival of the Mayor, the Family of the Day, the Main Street dancers and a train full of characters. There were some flaws with this opening, however. The space available for guests to watch was small, and if you didn't get there early there was a chance you wouldn't even make it through the turnstiles before park opening. The new procedure, while perhaps lacking some of the nostalgia of the previous show, addresses the space issue by opening up Main Street to all guests an hour before the official park opening. This gives guests tons of room to spread out, shop and even eat breakfast in the park before the official "rope drop." What time can you enter the Magic Kingdom? What about Extra Magic Hours (EMHs)? 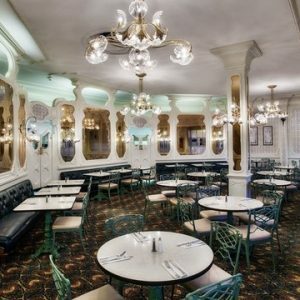 What if I have a pre-park opening Advanced Dining Reservation or tour scheduled? Where can you eat if you don't have an Advanced Dining Reservation? Are the shops open before the Magic Kingdom opening? What about the Family of the Day? What is the new opening show like and where should I stand for the best view? Which way do I head after it is over? With the new Magic Kingdom opening procedure, guests are usually allowed in at 8 a.m. (sometimes even 10-15 minutes earlier) when the scheduled park opening time is 9 a.m.
During Extra Magic Hours all guests are still allowed onto Main Street; however, there are Cast Members posted at the entrances to Tomorrowland and Fantasyland with handheld scanners to check tickets and MagicBands. Only onsite resort guests are allowed into those areas until the park officially opens to all guests. One of the biggest former perks of pre-park opening breakfasts was the opportunity to take photographs in a nearly empty park. However, the new opening procedure greatly eliminates that chance. Guests with pre-park opening reservations between 8 and 8:45 a.m. have been allowed in to the Magic Kingdom a few minutes before everyone else, often as early as 7:40 a.m.
Pros: This reservation puts you in a prime location to access the Fantasyland attractions before the crowds arrive from the Hub, and since this a Quick Service location it is also the least expensive out of the 3 pre-park opening reservation options. Guests finishing breakfast before the park opens have often been allowed to ride Seven Dwarfs Mine Train as well. Cons: There are no characters at breakfast here, so if you are looking for that experience you'll need to make reservations at one of the two breakfast restaurants with that option. Pros: Crystal Palace has consistently high food quality and is closest to Adventureland if that is where you plan to head after you dine. Cons: Since it is a character meal, you can expect to spend at least an hour there (maybe more) in order to meet all the characters, increasing the likelihood that you won't be finished dining by the time the parks open. Pros: Cinderella's Royal Table puts you in the castle, which is a convenient central location to most areas of the park, especially for Fantasyland. Cons: This is the most expensive of all the pre-park opening meals and shouldn't be booked in order to provide an advantage to get ahead of the crowds since it will likely take you over an hour to complete your meal and visit with all the royalty. Pros: This reservation can put you in the park a few minutes before guests without pre-park opening reservations and is located closest to Tomorrowland if that is where you plan to head after you dine. Cons: There are no characters at breakfast here, so if you are looking for that experience you'll need to make reservations at one of the two breakfast restaurants with that option. This also does not put you ahead of the crowds for touring purposes. No reservation? No problem! You have a couple of Main Street dining options before Magic Kingdom opening, including the Main Street Bakery which serves up Starbucks coffee and light breakfast options. 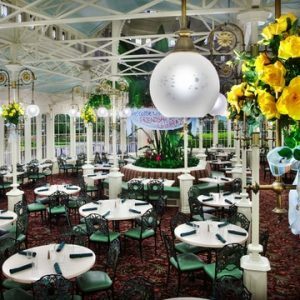 Get more info on each of the Magic Kingdom Quick Service breakfast options. Yes, the shops along Main Street are open while you wait for the park to fully open. Family of the Day was something that existed with the old Magic Kingdom opening procedure, but sadly doesn't take place anymore. Yep! Photographers are out on Main Street and in the Hub area in front of the castle. It's a good time to snag some pictures before you start touring the park and visiting attractions. The new Let the Magic Begin show includes lots of characters and takes place on the stage in front of the castle just before park opening. Check out this video if you'd like to see before you get there. There are a few different paths to exit The Hub after the show. The paths to Fantasyland are the most popular at park opening. The path closest to Seven Dwarfs Mine Train (#4 on the map below) builds up first and will have the most people. 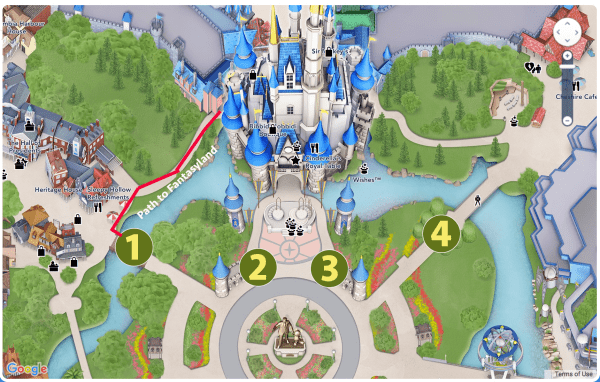 There are a few other ways to get to Fantasyland that won't be as busy (1, 2, and 3 on the map) and those will be better options if you aren't headed to Seven Dwarfs Mine Train. That should cover most of the questions we've been getting. Have anything else you'd like to ask? Feel free to post in the comments. I’m going on April 25 and the opening time is 8am (for everyone, not EMH) with the welcome show at 7.55am. Does this mean I’ll be able to enter Main Street at 7am? Wonderful info on MK arrival- thank you! Question- won’t paths 2 and 3 be closed due to the opening show? Or do they open those immediately after the show? Thanks in advance! what was the verdict Emily? What time did they let youin? Do they not do the opening show at the entrance, at the train station, anymore? Correct, they do not. First paragraph mentions that. Although I was sad to see it go, the new procedure is a lot less stressful. Does anyone know if the Main St. Vehicles that normally operate 9am-10:15am according to the official schedule start running earlier since Main Street is open earlier? Has anyone seen them prior to 9am? No, they don’t seem to operate before 9:00. My husband is a disabled veteran, we were hoping that he might have the honor of retiring the colors in the evening. They used to allow service men and women to go to City Hall and inquire about this opportunity. In the last two(ish) years they have started picking the service person at random during the rope drop. We were planning on being at rope drop and crossing our fingers that he would be noticed and chosen. any suggestions of when/where to go that cast members might notice him? He will be wearing his Purple Heart hat. What abuot PPO BBB appts? Do they get in a fwe minutes before the regular crowd a long with ADRs? I have an 8:15am appt on a 9am opening day. When can we get in & how crowded should we anticipate it being? Does that mean that guests that need to go to Guest Services for disability passes will be able to do that BEFORE rope drop..meaning that unlike the old opening we don’t miss out on precious time getting to that first ride after rope drop? Or does guest services not open until rope drop? Wanting to get to Seven Dwarfs as soon as it opens to avoid using a Fast Pass but concerned about being stuck at guest services after rope drop. Thanks! What if I’m going to Liberty Square to see talking Mickey fist? Will people be able to start forming a line there at 8am for a 9am opening? Talking Mickey is located on Main St, in the town square, not in Liberty Square. The line begins forming as soon as Main st opens at 8. One of our MK days got changed to an 8 am REGULAR open (NOT EMH), what does this mean? Will Main Street open at 7? Also, (of course) we have an 805 BOG reservation. We aren’t overly concerned, but slightly disappointed that our little trick won’t work out as planned. I am just wondering what I can expect, will everyone be heading up to the HUB by 7, or not until 8? What kind of head start can I get, could I still get behind the ropes before 8 because of my reservation and take a ride on SDMT before 805!? I have the same exact question except my reservations are for 8:10. The only reason for the reservations were to enter the park early and ride 7dmt before rope drop. What time will people be allowed to enter? Would reservations still be helpful at all? So if the park opens at 8 because of EMH, do they let people in starting at 7? And, what time is the opening show? Hi! You mentioned in your article, that you can sometimes hop on 7 Dwarfs Mine Train after breakfast at BoG (8:05 reservation). Is that the only ride open or are they all open? Will the princesses be available at Fairytale Hall? Thanks! Usually only SDMT is available early. Other attractions will open when the park does. You should see a Cast Member in the hub area in front of the castle holding a sign directing you where to go. So, what time would you advice people to arrive on a non-EMH day? My family always used to arrive at MK no later than 30 minutes to park opening so that we could be toward the front to get a good spot for rope drop. With this “extra hour,” early, I feel like we would have to arrive earlier to stake out a spot on Main Street for the new rope drop. I wouldn’t want to wander around killing time by shopping, eating, etc. and then get stuck behind a ton of people when they opened the rides. We always go during the busy season (stuck with school teacher schedule), so we’re always trying to beat out the crowds. I would just keep the same arrival time. Instead of lining up at the front of Magic Kingdom, you’ll just go in and line up at one of the bridges to wherever you’re headed. I keep on coming back to this post and re-reading it because I am blown away and just need to keep making sure it’s true. We went in 2015 and I remember that I had to plan on skipping Main Street and heading straight for Fantasyland at rope drop and going back to it later. I love Main Street, it’s so iconic. 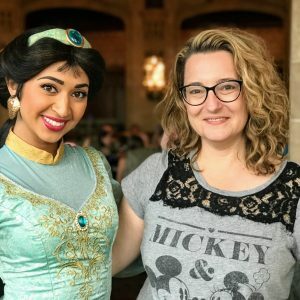 I am SO SO excited to be able to tour Main Street with a little leisure first thing in the morning without worrying on missing out on anything- especially as we are taking my mother in law for her first ever Disney trip and I think she will enjoy it this way much better. As much as I miss the old welcome show at the train station, this new welcome process is much more laid back. I think you’ll enjoy it (and hopefully your MIL will too). We were there On Feb. 24 of this year and Magic Kingdom had EMH and they did not let us in the park until 7:55. I was wondering what everyone else’s experience has been since Feb. I would like to know because when we go again next Feb, we wouldn’t have to be there as early. I really appreciate all the info I get from Prep School. I have never been to SEE, but we are going for the first time this year! I’m glad I came upon your post, great info. I will say I know I’ve never seen the original show so I can’t really give a valid opinion lol… But I watched both online and I love the new one so much more! 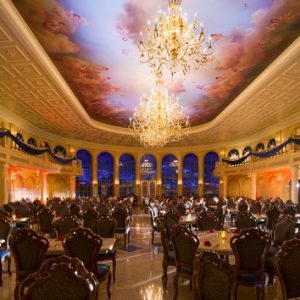 We have a breakfast reservation at Be Our Guest Reservation at 8:35 am – will we miss the opening show? What time should we try to enter the park? You can try to enter the park when they allow you in around 8 a.m. to maybe get seated earlier than your reservation time. We always head to Space Mountain at rope drop. Where should we stand to watch the new morning show? Which path should we take to get there quickest? Which path is the best to get to Peter Pan when the show ends?? Either 1 or 2 will be your best bet. Thanks! Those were the ones I assumed… wasn’t sure if either was better than the other?? won’t be open yet but they can go and wait. Everybody is stopped in front of the castle. That’s what the numbers 1, 2, 3, and 4 are showing on the graphic – places that people line up to get out of the hub area once the park opens. Great information. Disney have just announced 8AM opening in MK for 12 days around Easter and also Extra Magic Hours at 7AM each morning and we plan to use this on two days. I assume the Welcome Show won’t start until 7:55AM so we may need to skip it. From what you describe it appears all guests will be allowed to enter Main Street for EMH, regardless of whether or not they are staying at a Disney resort. Does anyone know if they actually check Magic Bands for everyone going through to Tomorrowland and Fantasyland? That seems like it would really slow things down. Do they do they opening train show anymore? We have reservations at 8:25 for Crystal Palace. Will we be able to get in before others will be allowed, to get some pictures quickly in front of the castle? I know they let people in before their reservation, but how far in advance? Are they aware by scanning your Band when your reservation is? Sorry for the double post, I thought the 1st one didn’t go through. If we have a reservation at 8:05 for Crystal Palace and we can get into the park at 7:40, is there any chance we will be seated early? We’d like to be done in time to see Let the Magic Begin and I’m worried about feeling rushed. 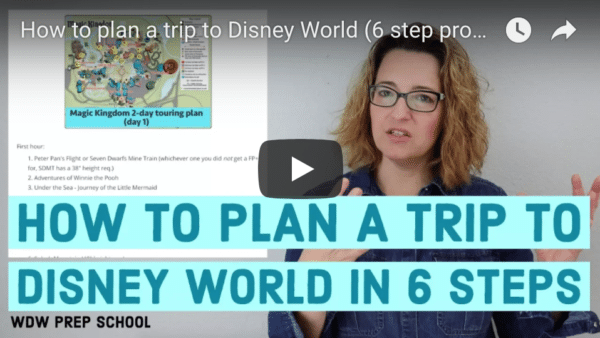 Hi, my family is visiting Disney World in less than two weeks and your site has been extremely helpful! Thank you so much for all you do! I have an additional question that pertains to these new opening procedures. We have a Crystal Palace reservation for 8:05, but we would like to be done in time to see Let the Magic Begin. I am unsure how much time we should allot for the breakfast. Is our meal going to feel rushed if we try to make it out to the show? Also, If we arrive at the park by 7:40 and are let in at that time, do they ever seat people before 8:05? We just returned from our trip there for Mardi Gras break. When we went to Magic Kingdom on Sunday 2/26 we were not able to enter until about 8:40. We went straight down Main street and positioned ourselves on the left hand side of the stage so that we could then head through the castle after the show. We were very close to the stage thanks to your tips. We went back to Magic Kingdom on Thursday 3/2 and the park was opened by the time we made it through the touch points (about 8:20). We had plenty of time to try to use up our snack credits at Main St. Bakery before the show. It was not nearly as busy as I thought it would be. I’m not sure why we were able to go in early one day but not the other (possibly due to the Princess half-marathon that was going on that day?). I am very grateful that I had seen your posts about the changes so that I knew what was going on. If we would like to line up early towards Fantasyland to hit 7DMT first, but also want to see the new Welcome Show, could we stand near your #4 on the map and still see the stage? Or are you not able to see the stage really at all from that pathway? Thanks! How sad are you that the old rope drop will be gone? I know it’s your favorite, you always mention it in podcasts? :( also wanted to know when this goes into full effect? It’s in full effect now! I am sad about the old welcome show being gone, but this new method is much more laid back so I think it’ll work better for most people. With everyone allowed on Main Street at 8am, and buses supposedly starting 45 minutes before park opening, does that mean MK buses will start running at 7:15, or 8:15am? They’ve always started at 6:30 a.m., even though Disney usually says differently. Shannon, have you tried the paid MK morning magic hour? Pricy, but seems still worth it for us, particularly if can’t get 7DMT FP. Many rides on 7DMT, PPF, WP, and 1st in line for Princess Fairytale Hall. Knock out a few other rides mid morning then late breakfast thrown in near 10am. Seems better than doing BoG breakfast and rushing through. Curious your thoughts. How does a 8:05am BOG reservation work when MK has the early morning magic ticketed event(which we are not attending) and the official park opens at 9am? The same as in Extra Magic Hours? When would the welcome show be? It’ll work the same as any day – there will be signs directing people with early breakfast reservations where to go. The only real difference is that you won’t be alone in Fantasyland on days where that event is taking place. Thank you for the very informative article. I was wondering though if the Meet and Greet with Mickey or Tinkerbell was open early as well? We usually do Town Square Mickey first on our trips before lines build, but this would allow people to line up an hour earlier than park opening if they wanted. Thanks! Does that mean that the line doesn’t start forming until 9 if the official rope drop time is 9? We will be seeing Mickey first thing on our next trip, and I want to make sure we can get in line for this as early as we are allowed. You can definitely line up outside where he meets before 9:00. In fact, I’d highly suggest doing that or using a FP+ to meet him. When we went to see him right after the opening show finished, we ended up waiting an hour. During morning EMH, does the “Let the Magic Begin” show still perform at the same time? (Just before public opening?) So if WDW guests take part in attractions during EMH, do you go back to the hub at that time if you want to see the show? Thanks! The show is at 8:55 a.m. every day, even on EMH mornings, so you’d have to go back if you wanted to see it. So you’re saying that on AM XMHs, everyone can still enter Main Street at 7am and wander Main St (with no show to open the park) until they open the entrances to each land at 8am (scanning magic bands)? And then the show starts at 8:55pm even though on-site guests are already in the park and riding rides? I was wondering the same thing. If there are morning extra magic hours in MK that start at 8am does that mean that resort guests will be allowed to enter at 7am to wander Main street until the area opens for the morning extra magic hours? What time are the gates open for morning extra magic hours now? I was wondering if you can still enter tomorrowland via the tomorrowland bridge, as it is never one of the bridges labelled as an exit from the show!? We plan to head to Tomorrowland first. Can we take the bridge there or do we have to go through fantasyland path? Hitting the Buzz Lightyear ride first thing. Please let me know! Paths number two and three appear to go through the castle. Are those open right after the welcome show? Yep! As soon as the characters clear the stage, those paths open up. Thanks for all the great advice. Is Path 1 the best path to take to get to Peter Pans Flight after the Let the Magic Begin opening. It seems for path 2 I might have to wait a few minutes for the characters to clear. And will I be able to see the opening if I wait near ropes of path 1. I just don’t want to get stuck waiting 30 minutes for my first ride. Thoughts? Yeah, path 1 is a good option. Path 2 does have to wait a bit to go, but it’s quick. Either one should work fine. Very disappointing this change. Not nearly as cool. My question is what is the earliest reservation time a person can make to get into the park early? I’m guessing you only have 5-10 minutes max for pics due to this change. Yes, you’re right. 8:05 is the earliest breakfast reservation, and many people with early reservations are getting in at 7:40 a.m.
Are photo pass people posted on main street before 8? So is this new show permanent? I thought it was just because the train was being refurbished?? Yes, the new show appears to be permanent. I’m actually a little saddened by this, as I was SO excited to have the opportunity to see Main Street and the Castle with few guests around – I guess that dream is kind of crushed now! Great article! Going to really miss the old show, but look forward to seeing this one. If one has an 8:05 reservation for BOG, where do you go once you are done eating? You mention that some have been able to ride 7DMT – do you just walk over there after eating and hope for the best? Or will you be shooed out to the front of the castle. 😉 Thanks! Hello – fabulous article, answered 99% of my questions. What remains are more curiosities. One of my favorite pieces of the “original” welcome show was the Mayor of fire chief. We also LOVED the songs of the welcome show. Are either components part of the new show? It seems that it would break character to have them there. I suspect Casey Junior was phased out. I agree with you. I love those things so much too. Sadly, they aren’t around anymore. Check out the video I linked in the article to watch the new opening show.